Sweden’s morphing group Radio Dept. has been sporadically releasing material for the past ten years. Passive Aggressive: Singles 2002-2010 collects this cool people’s band’s releases over the last decade. A cratedigger’s dream, featuring both A- and B-sides, Passive Aggressive shines a light on the group’s evolution — or lack thereof. The earlier recordings are similar in their moody, almost aggressive, shoe-gazing nature. On “Freddie And The Trojan Horse”, however, light guitar plucks take the place of the jagged fuzz the style is known for, and lively piano takes center stage, passifying the sound. 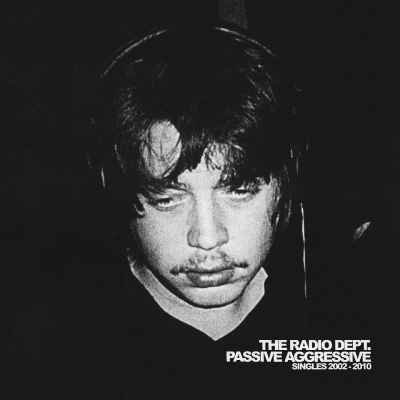 The four numbers included from Radio Dept.’s 2010 full-length, Clinging To A Scheme, feature a stronger hold on melody than the muddy ones leading to this release. Buy this at iTunes. After the jump, check out the video for “Never Follow Suit”.